The only difference between this and regular soap is 3 ingredients. 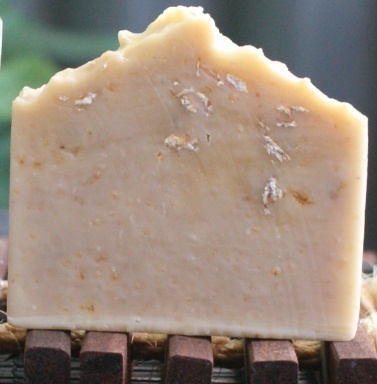 Organic Hemp seed oil, Organic Cocoa butter and Organic Shea butter are not in this soap. That means I can sell it cheaper. My regular top of the range soaps can't be sold cheaper than they are because of the percentages of High Quality ingredients. This is cheaper to make yet still superior than the majority of soaps on the market or in stores. It is a gentle yet effective cleanser which is kind to all most types. Leaves you with a beautiful glow. Ingredients Oils of Olive, Coconut, Rice bran, Organic Castor, Sunflower and Grapeseed. Australian clay and 100% Pure Essential oils. Aromatic Essentials is Certified Cruelty free. No animals are harmed in any stage of production of these products. All ingredients also come from Cruelty free suppliers. The information on aromaticessentials.com.au,facebook.com or promotional material does not replace professional health advice. Aromatic Essentials will not be held liable for any consequences of use of this website, promotional material or products. Please read the essential oils safety data and perform a patch test before using any products to avoid sensitisation or reaction. All statements are, in the best of my knowledge truthful. Understand to use the information provided as educational but not professional medical advice. Aromatic Essentials does not claim to cure any illness or disease by use of any products. Always consult your health professional should you experience symptoms of any allergic reaction.